If you are interested in a "Paquestone" puppy, please fill out the questionnaire. Details are important. We will follow up with telephone conversations and visits so we can get to know each other better and so I can give you information on the breed and your new puppy. 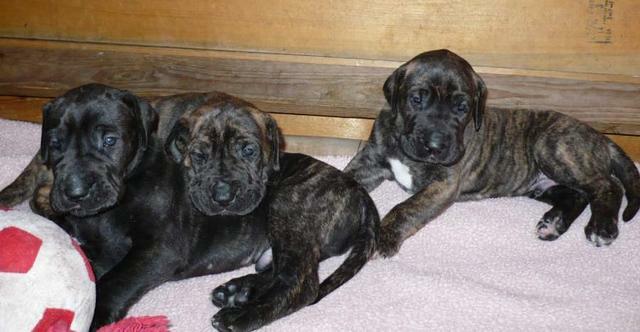 At the present time I breed "Fawn" & "Brindle" Danes only. I do not have other colours of Great Danes. Paquestone puppies are always house raised. I always supply new owners with a "Puppy Package" that has lots of good information for raising your new Great Dane puppy. 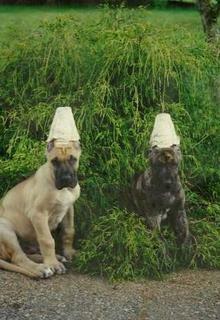 Paquestone puppies are guaranteed if you follow all of my instructions, for one year, against "Genetic" problems. Thank you for your considerations with this wonderful breed. And information please go to "in the Litter Box" page. Please do your research prior to adding a Dane to your family. Know what to look for in a breeder and puppy. Do not be impressed by "rare" colors (no such thing) Euro Danes or any other outcrosses. 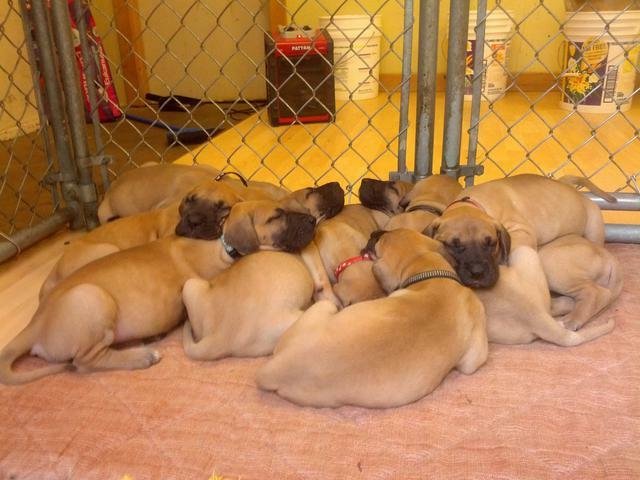 While exceptions can occur, people breeding off-color, Euro or Dane outcrosses rarely do health testing or offer any kind of breeder support and true knowledge of the breed.